Join us in a beautiful location while learning key skills for day hiking in the Pacific Northwest. You will learn about trip planning, predicting trail conditions, gear preparation, risk evaluation, and so much more. Our goal is to to make you a safe, independent, and confident hiker. This adventure is designed for those just getting started exploring the great outdoors. Learn and practice the skills to select, prepare for, and safely enjoy your own independent day hikes. Our objectives include connecting you to hiking information sources, reviewing the use of maps, predicting and planning for current conditions, maintaining efficient pacing, and effective clothing layer management. 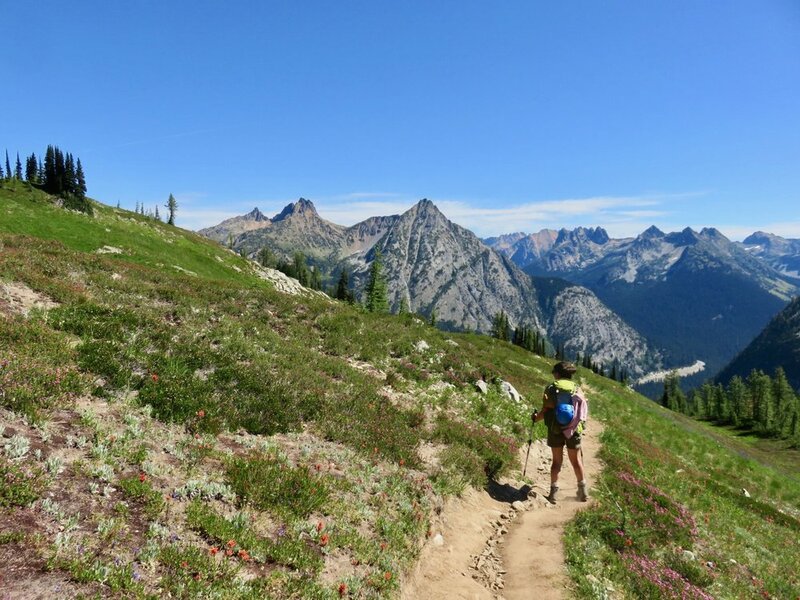 While on trail, your leader will review the 'Ten Essentials, layer management, self care considerations, risk assessment, and Leave No Trace wilderness ethics principles. Your hike will be led at an easy recreational pace, with breaks along the way, and plenty of opportunities for pictures. Do not worry if you are a 'slow' hiker - this hike is for you! Expect to enjoy approximately 4 hours outdoors. Your group will spend an estimated 1 - 2 hours on trail, with plenty of breaks along the way, to reach your destination. Plan for 30 minutes to eat lunch and enjoy your destination once the group arrives. You will then spend another 1 - 2 hours on trail, with short educational stops en-route, before returning to the Trailhead. You will then debrief your day on the trail and review recommended next steps. Expect to enjoy approximately 6 hours outdoors. Your group will spend approximately 2 hours on trail, with plenty of breaks along the way, to reach your destination. Plan for an hour eating lunch and enjoying your destination once the group arrives. You will then spend another 1 - 2 hours on trail, with short educational stops en-route, before returning to the Trailhead. You will then debrief your day on the trail and review recommended next steps. Spend the day with Cascade Mountain Adventures learning how to become a safe, happy, and confident hiker. Let's explore!